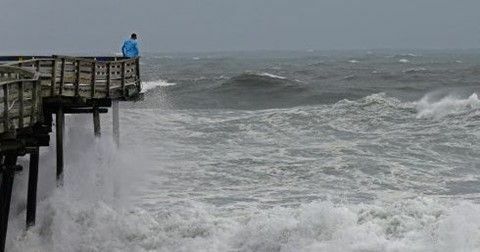 Tropical Storm Willa gained strength on Saturday in the Pacific Ocean off Mexico and is forecast to become a hurricane by Sunday, the U.S. National Hurricane Center (NHC) said. The storm was moving at about 9 miles per hour (14 kph) toward the west and expected to turn northwest early next week and make landfall near the Mexican states of Guerrero and Michoacan as early as Tuesday. “Some slight strengthening is possible today and Sunday,” the hurricane center said.